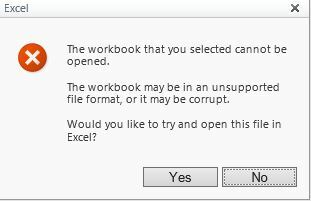 I am unable to open the Excel workbooks from our production site in SharePoint 2010. The same Excel file was uploaded to UAT and it is working fine. Please find the fig below for the exact error am facing. Not the answer you're looking for? Browse other questions tagged 2010 excel-services or ask your own question.